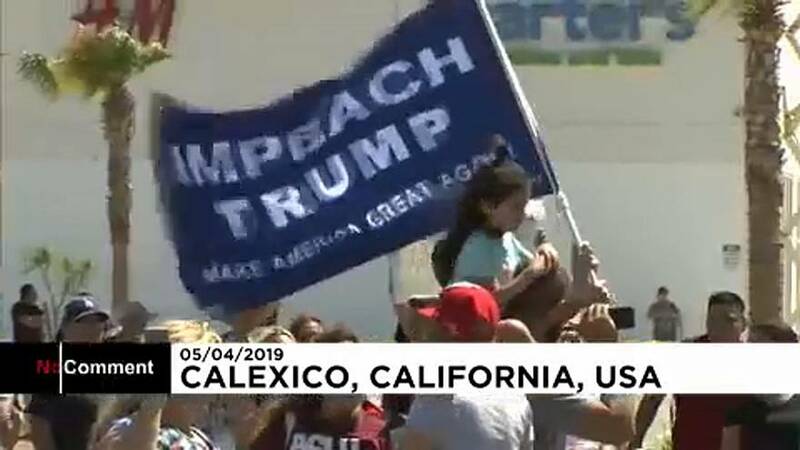 As US president Donald Trump headed to the border with Mexico on Friday to make a renewed push for border security, protesters gathered in the small town of Calexico, marching down the street waving signs and chanting. Trump, tweeting as Air Force One approached California, tried to blame Democrats for a lack of progress on the wall, which was his signature campaign promise yet remains unbuilt. Trump also denied that he changed his mind about shutting down the border with Mexico, a threat he backed off on Thursday. Trump said he reversed course because he saw Mexico get tougher in stopping illegal immigrants from moving north. Protesters both for and against Trump stood in a parking lot not far from where the president planned to visit the border fence Friday afternoon.